Arriving at the site it is immediately obvious that Veolia’s idea of a non functioning site and ours differ greatly: The logo of Veolia subsidiary ONYX still marks the entrance and trucks enter frequently to unload tonnes of rubbish. A short interview with a worker who has been employed there for ten years confirmed that things are indeed as they seem. When asked if he has experienced any decrease in Veolia’s business lately he said: “Last year we had a bit less traffic than the year before”, “We received maybe 3-400 tonnes of rubbish a day, but now we get more. In fact, since April of this year we are getting around 6-700 tonnes a day and that is supposed to continue”. 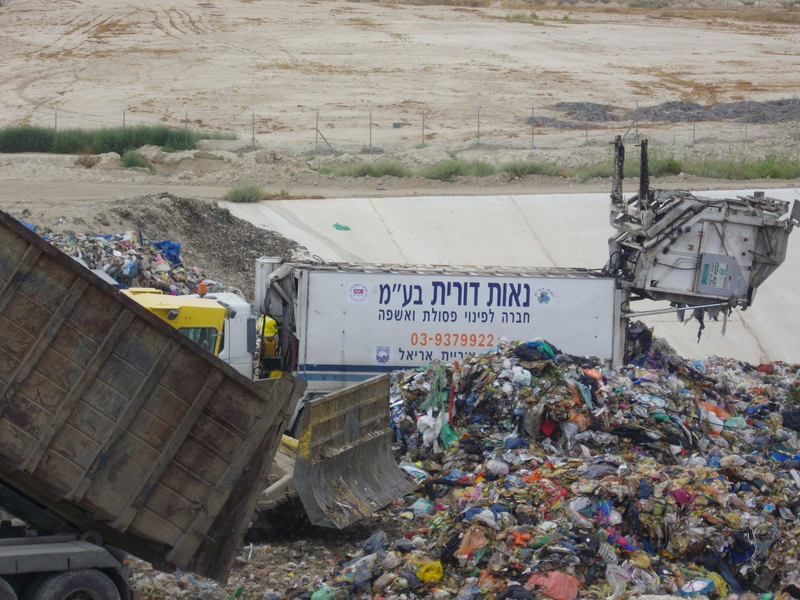 He told us that the increase in waste comes from Afula, a city of 40 000 inhabitants inside Israel. 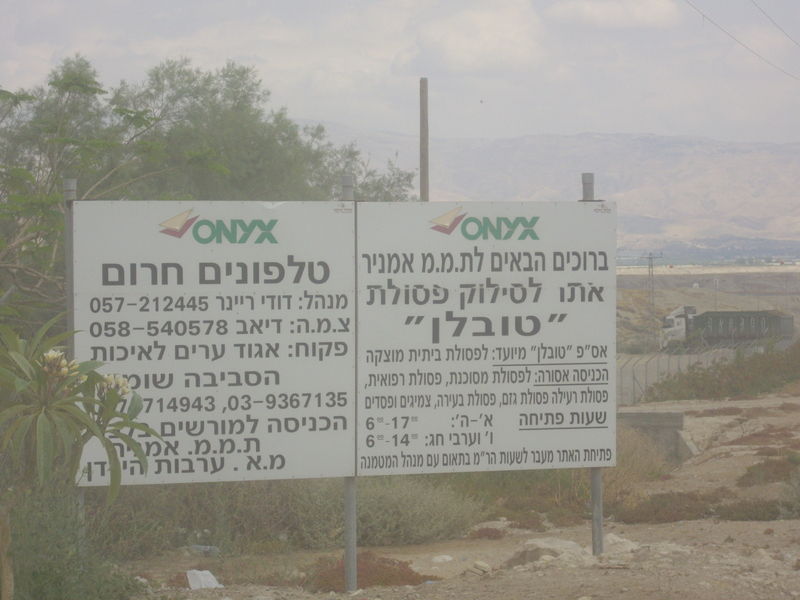 According to him, their waste used to get dumped in a landfill in Tiberias, which has now closed down. 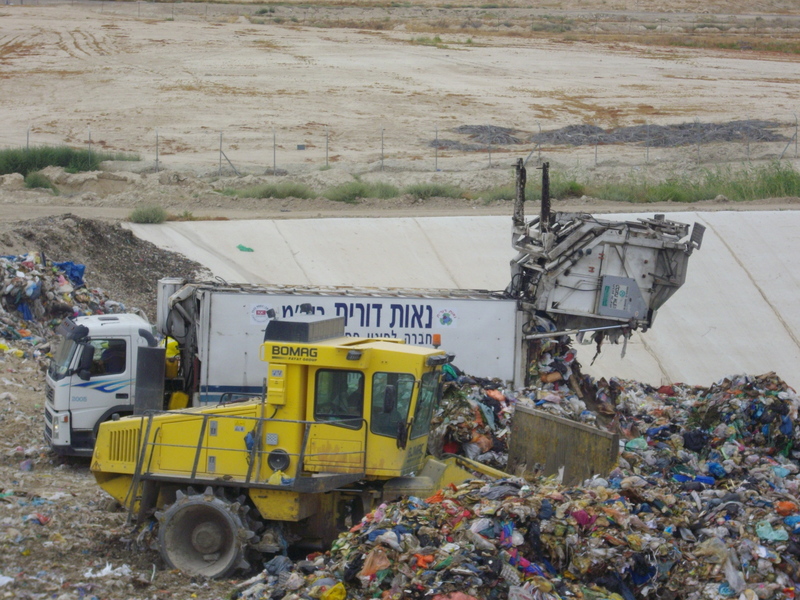 He also said that they get one truck of waste a day from Petach Tikva, another city in Israel. The day after our visit to Tovlan we spotted yet another Veolia truck entering a settlement for the purpose of rubbish collection, this time in Beqaot. *Note that names have been withheld to protect the workers.